It seems anywhere I go lately, people are asking me if there is a real estate bubble. Before I give you my thoughts, it first helps to explain exactly what is a “real estate bubble.” In its simplest form, a real estate bubble or housing bubble for residential markets is characterized by significant price increases of homes until they reach such levels unsustainable by incomes and other economic indicators. The general fear is if there is a real estate bubble and it “bursts,” homeowners and investors experience valuation decreases that can result in many owners holding negative equity (a mortgage debt higher than the value of the property). The housing bubble and credit crisis we experienced in 2009 was horrible. During that time we experienced low mortgage interest rates, low short-term interest rates, and relaxed standards for mortgage loans. Today, interest rates currently remain low, but the government has imposed more stringent mortgage requirements and more money down on home purchases which should prevent that type of crash from repeating itself. People are asking the housing bubble question because we’re seeing mixed signals in this spring/summer buying and selling season. While there’s solid, strong demand for housing, low supply has escalated prices that could lead to lower than expected homes sales. However, we are still seeing very strong sales so I don’t believe there is a housing bubble currently in the Conejo Valley or beyond. “We see no housing bubble in Southern California,” says Ralph DeFranco, chief economist for Arch MI’s owner, Arch Capital. “Even though homes feel expensive, they are supported by the amount of income people have.” The increases in home sales prices here are real. It’s real buyers with real income who are able to qualify for loans under the new strict guidelines and put 20% equity down in their purchase. I believe it is still a good time to buy a home or investment property. Interest rates currently remain low and you may get a tax deduction from your mortgage which makes it advantageous. Inventory in the Conejo Valley is also starting to increase some so finding a home that fits your lifestyle and taste may be easier than you think. Home prices will routinely fluctuate between 5%-10% which is historically normal and, over the course of time, evens itself out. That’s why it is important to be smart about making your home purchase and hire a reputable, highly rated realtor to help guide you in choosing the right home for you so that you can begin to enjoy and reap all the benefits of home ownership. If you have any questions, thoughts or need additional information, please call Lydia Gable of Lydia Gable Realty Group at 818-383-4335. 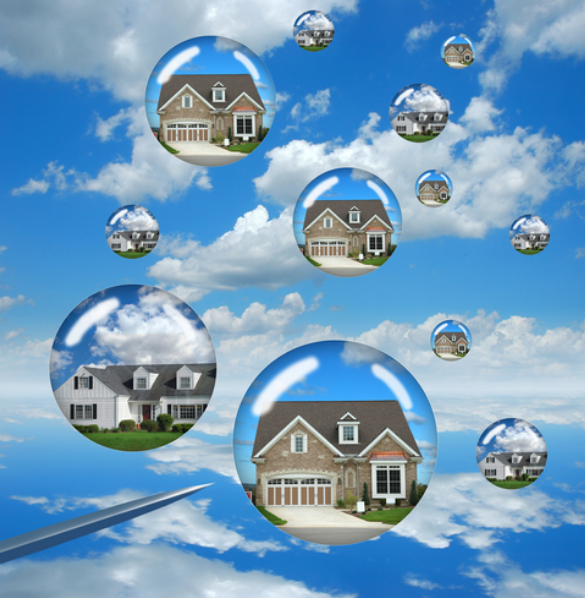 Jonathan Lansner, “Housing bubble ahead for SoCal? Unlikely, report says” http://www.ocregister.com/articles/percent-721070-risk-arch.html (June 30, 2016).